A neat, simple but very beautiful little pattern that is very much early 1960s or late 1950s inspired. Black always looks good and the design is shown as a swatch, a length of material and also as it would look on a top. 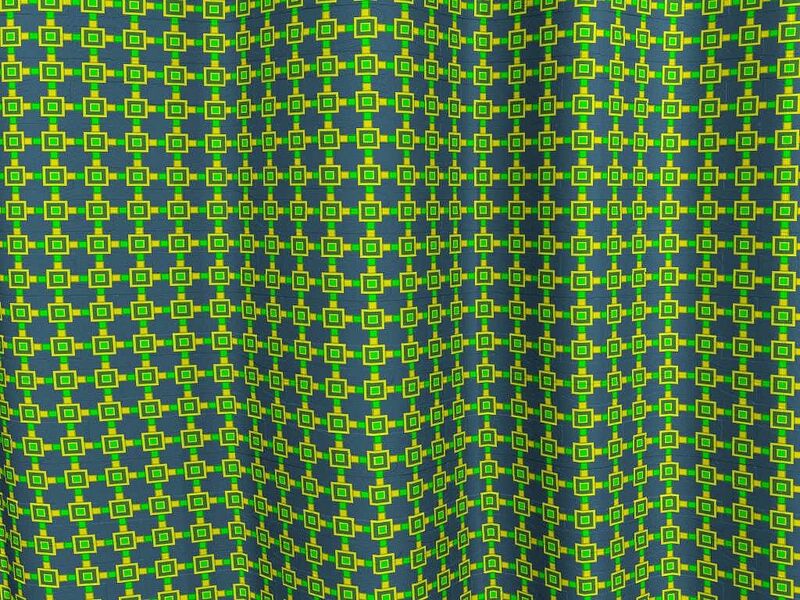 The material is created in Shade and the top is rendered in Daz Studio while the pattern was fabricated in Xara Designer by far the best program for making mid-century patterns. 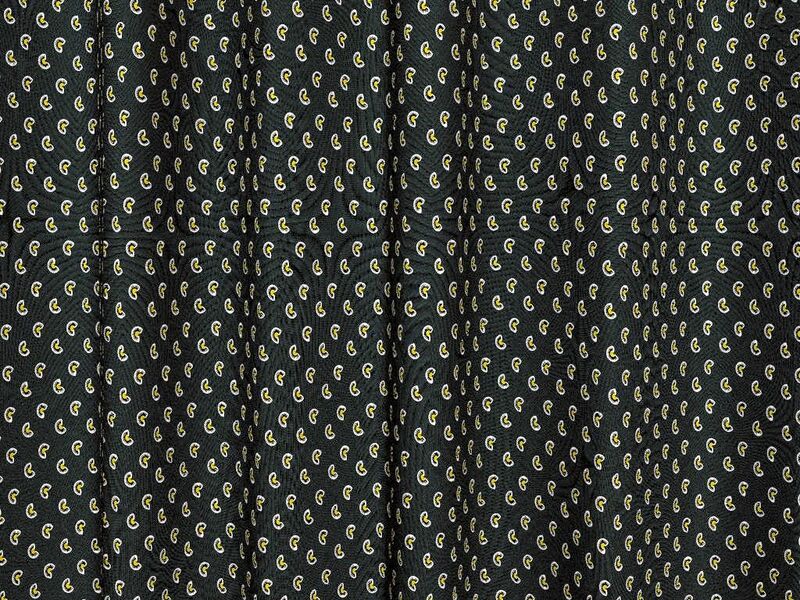 This is a material designed really as a fashion fabric and it is shown here as a swatch and also as a top on a model. The inspiration behind the design is generalised mid-century. The background is Royal Maroon, A British Standard colour while the colours used as the motif are taken from the same palette except that the yellow is a bit more yellow because I think that looked better. The material was made in Shade while the model (it is Genesis 2 figure) was created in Daz Studio. The garment I think is the Patti top. This is a note perhaps more for myself, I did try making this in other colour variations but none of them seemed to work. 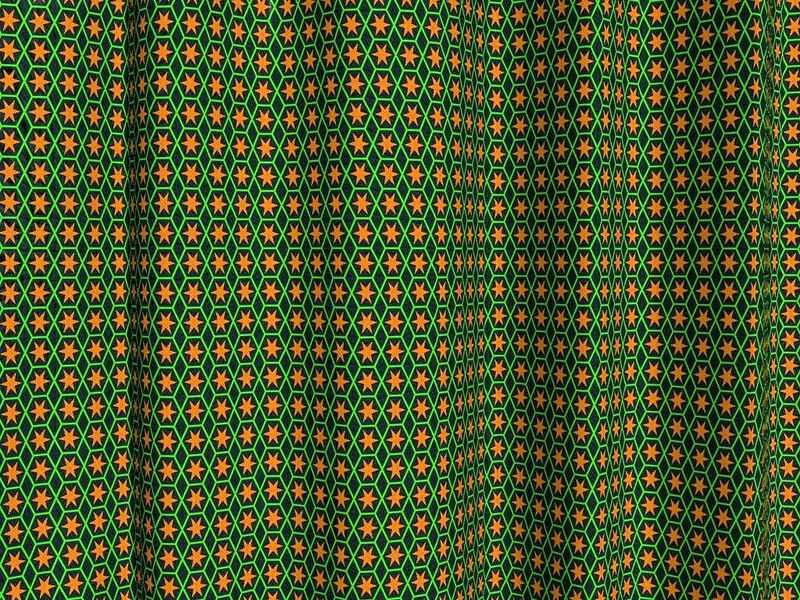 However this looked so good on the model as a fashion fabric that I was very pleased with the result. 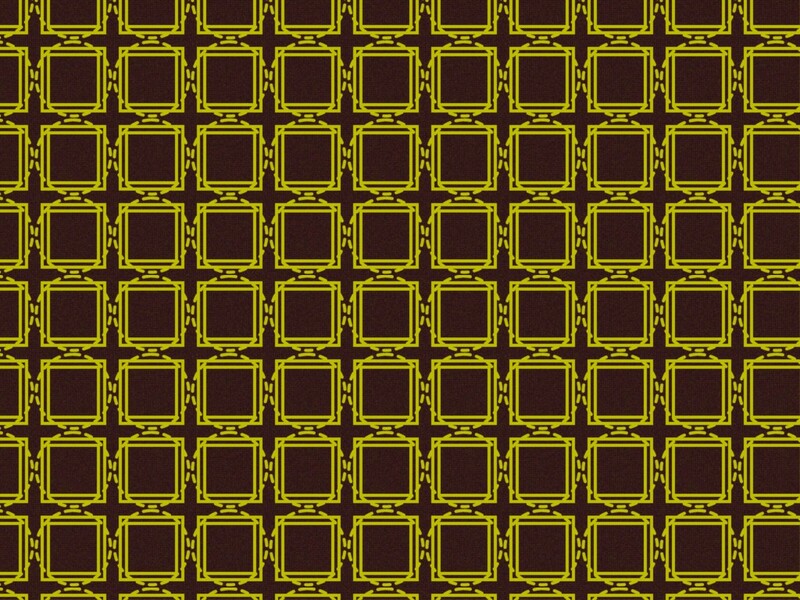 I know it’s Saturday and I’m not supposed to be working but I wanted to post this image of xar227 used as wallpaper. 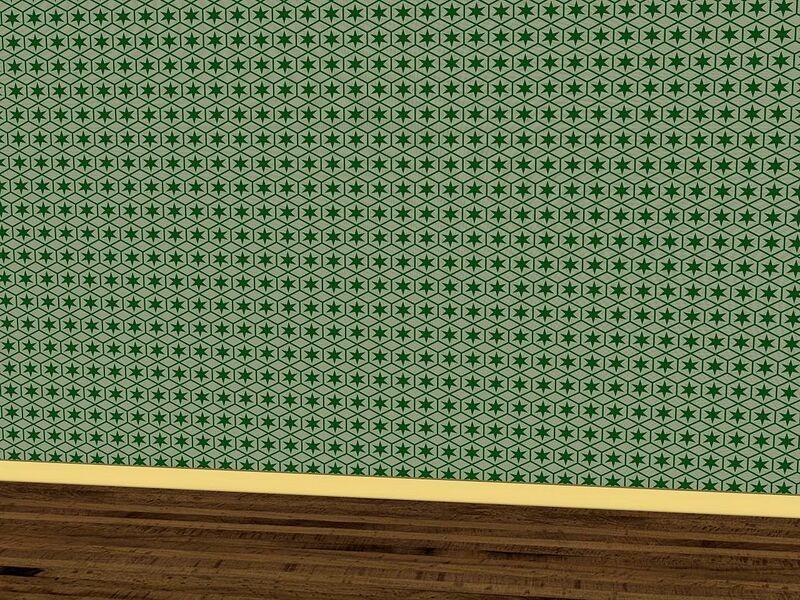 I said this was a versatile pattern and here it is mimicking mid-century wallpaper. I suppose this is really early 1950s style, well before the excesses of the 1960s but it looks very realistic. The background is Court Grey, a British Standard colour and the motif is a very mid-century green making the whole look like a room from that period. They say you should never judge your own work so here on display is xar227 in its third incarnation as a modern pattern. 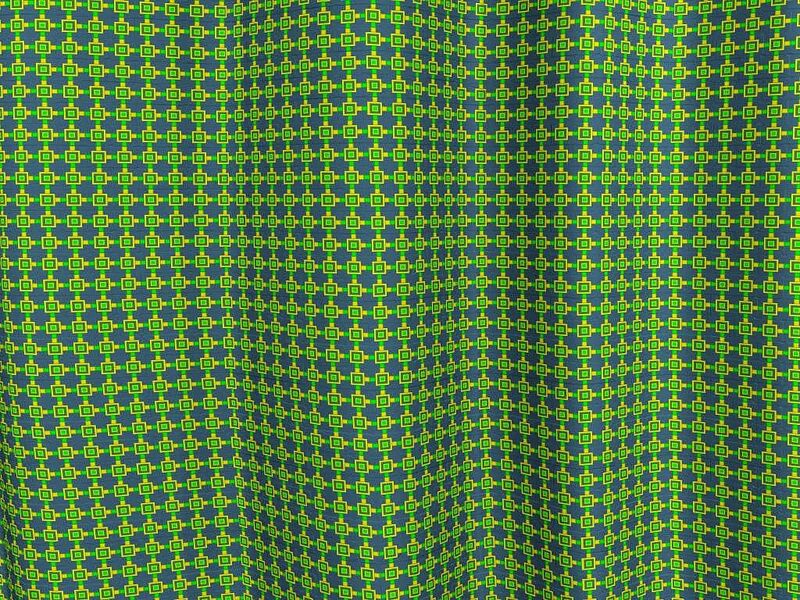 To show how versatile mid-century patterns are and how easy it is to convert them into a modern design, this began life as a 1950s motif which has been reworked with the colour scheme into something much more up to date. 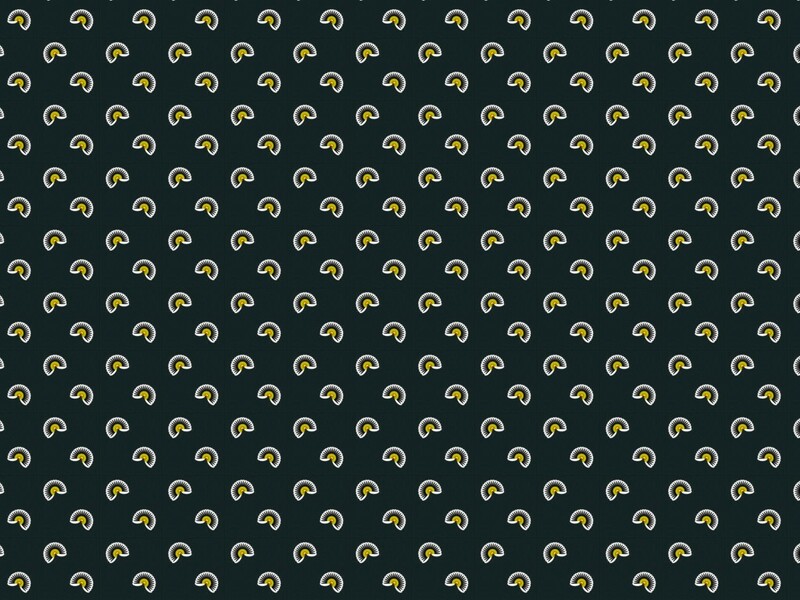 It was designed as a multi-purpose pattern that had, for that reason, to be simple and easy to manipulate. It is shown here as material but I will also show this same pattern used as a surface on a modern bangle. 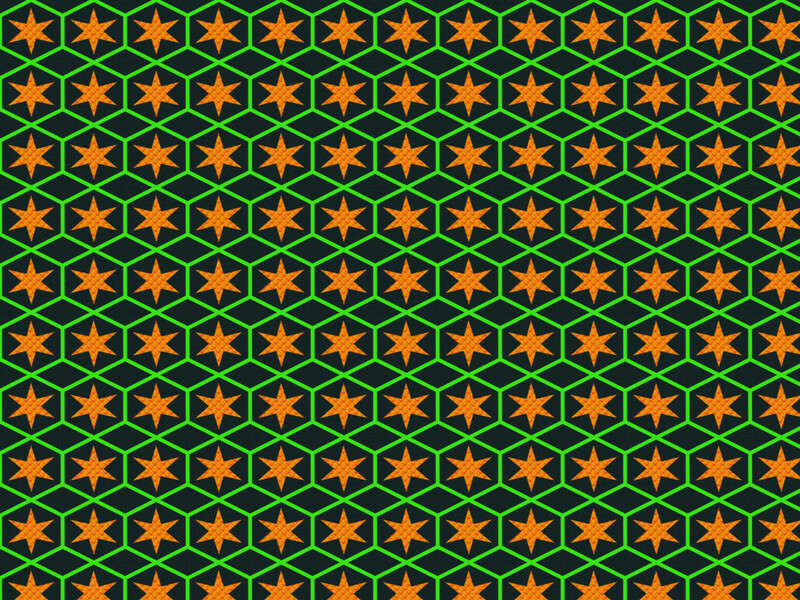 The reason for the heading is that this was a pattern I worked very hard to create but which I ended up not liking. But, as it says, you should never judge your own work but leave that to others. 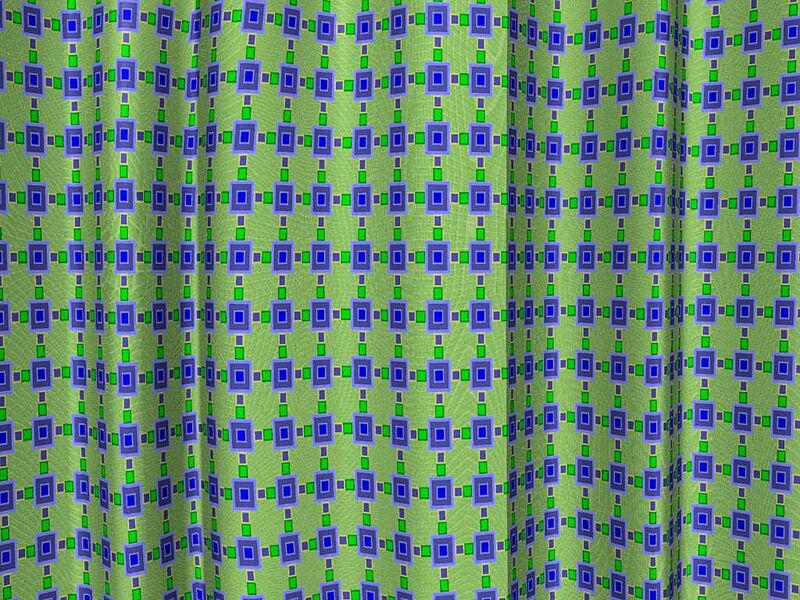 This pattern was created to follow designs used in the 1950s and early 1960s and so it is very much mid-century. The background is representative of material and is coloured using a mid-century British Standard colour BS7076 Court Grey. 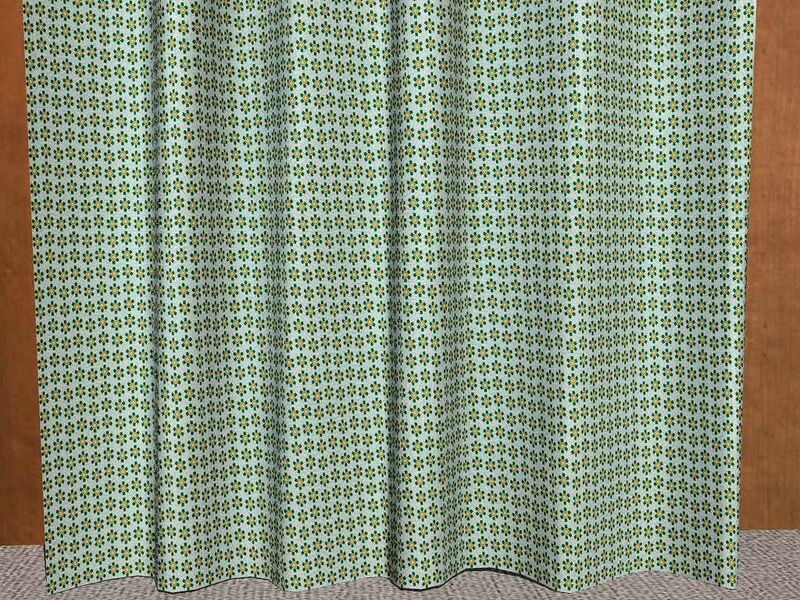 The motifs also use colours from this range: BS6074 Mid-Brunswick Green, BS5065, Clover Leaf and BS0004 Marigold. It’s a nice pattern that is easy on the eye, as many of the patterns of that time were, and it looks great used in a large area. 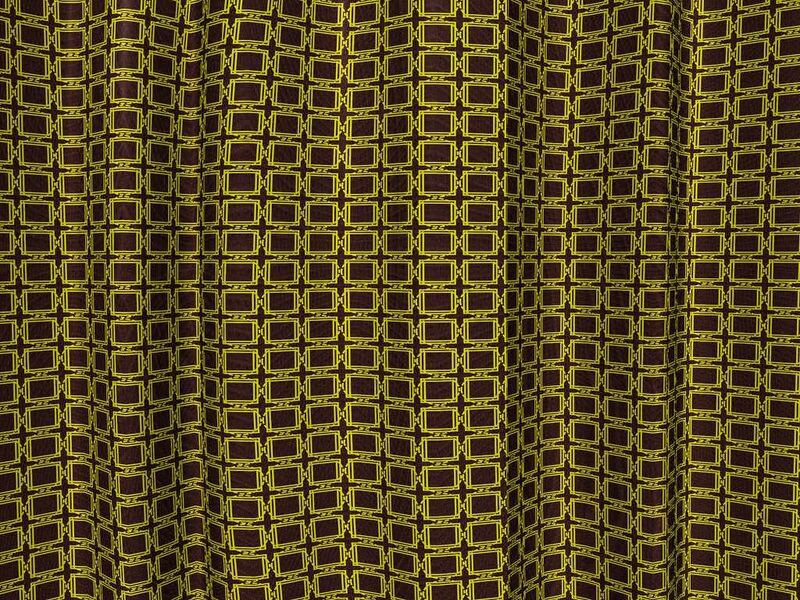 I used Shade 12 to create a representation of what it would look like as, for example, a curtain. Not for the first time, this is a design that responds well to colour and shape variations which was a fact well exploited at the time. 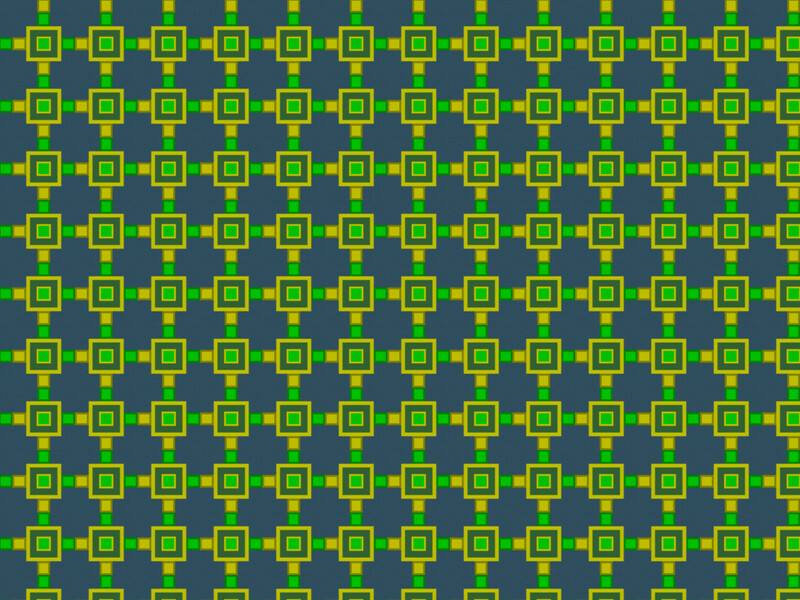 As promised, here is the second variation in both size and shape of the pattern used yesterday. In fact the size variation is not so apparent because of the scale at which they are shown but the different colouring makes the two seem very different, especially as materials. In fact, as a material, this looks excellent and I am very pleased with the result I have obtained. The materials were rendered in Shade 12 and I am increasingly surprised at how good to use that program is. 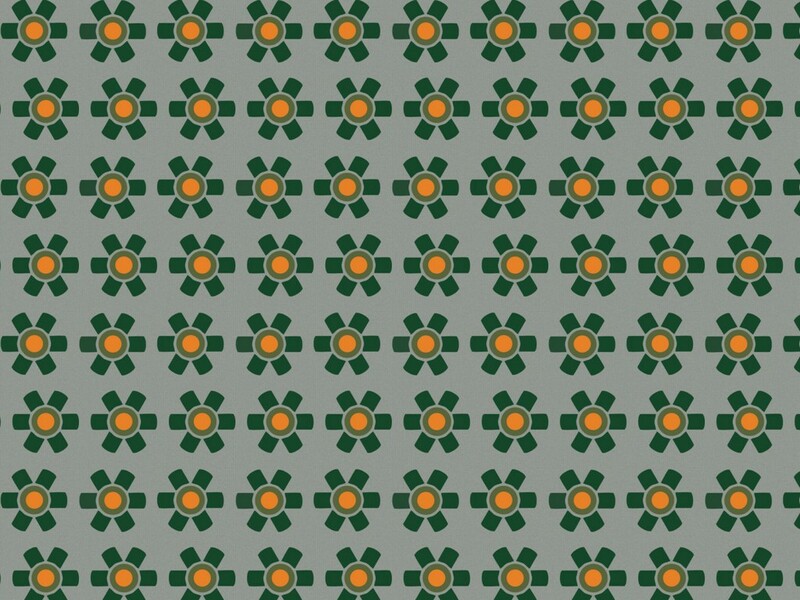 This pattern is based on a typical mid-century motif but uses a modern colour scheme and modern sizings. It is useful in that it can be used at different scales for different effects. 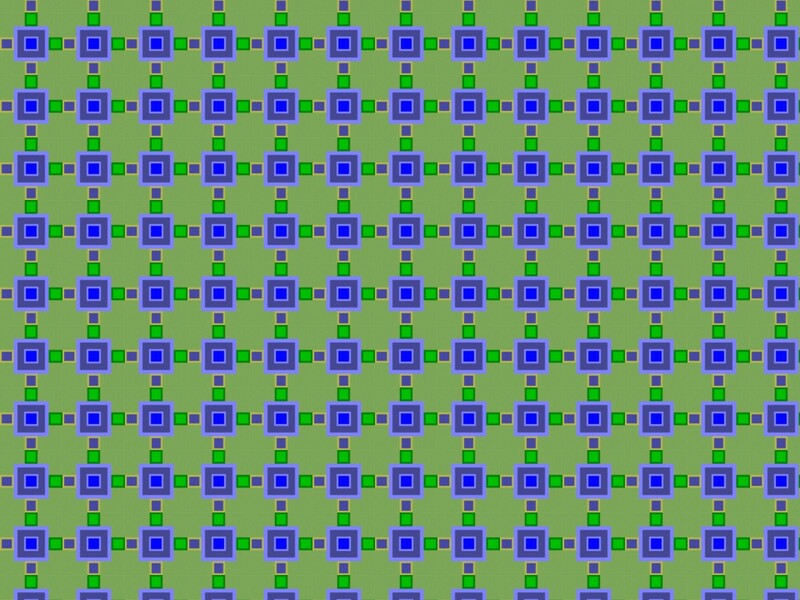 See the two images below which show the pattern used at two different scales. They are represented as a 3D image showing how it would look as, for example, a curtain or a large section of material. Seeing it this way gives a good idea of how it can be used. It is the sort of pattern that is easy to change and vary both in colour and in shape and the next pattern will show a variant of this design based on shape as well as colour.